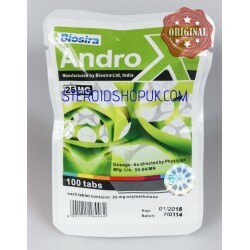 Anadrol, an anabolic steroid, is used by the individuals who are losing weight due to anemia. This steroidal compound gives a boost to the number of red blood cells of the consumers and helps them to enhance their strength and energy level. Red blood cells are responsible to carry oxygen to every part of the body, including muscles and help the muscle to work harder and stronger. Bodybuilders use this supplement to enhance the strength of their muscles with the enhanced number of red blood cells. 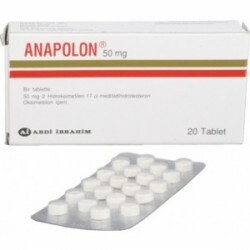 You can buy Anadrol 50 from our online store. 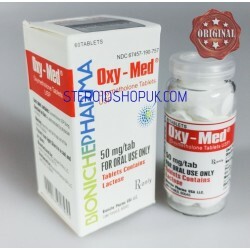 We, steroidshopuk.com, will provide you with the best quality product at an affordable price. 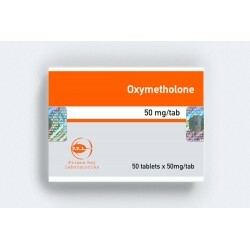 Oxymethlone Primus Labs 50tabs [50mg/tab], Androx Biosira (Anadrol, Oxymethlone) 100tabs (25mg/tab) and some other Anadrol 50 products are available at our online store. Anadrol 50 There are 4 products.